Quick question: how did you find this article? Let me guess: you did a search for SEO benefits for businesses in Oxnard, and this showed up, right? With everyone connected to the internet, more people are increasingly using the internet to find local businesses around them. Think about it for a second: how do you find a good plumber when you need one? Go through the stress of searching phone books -are those even around anymore?- or simply type in "plumbers in Oxnard"? I'm guessing you do the latter. How do you think those listings got there? That's right, SEO. The advantages of SEO are huge, but for the purpose of this article, let's look at the 7 most important ones. Do you know that 76 percent of local searches result in a phone call? More importantly, do you know that the businesses in the top 3 listings tend to get the bulk of these calls? This means that if your website isn't listed among the top 3 results, that's a lot of phone calls and leads that you're missing out on. For all small and medium-sized businesses, this is basically a death knell, seeing as every phone call is a potential client or customer. SEO helps get your website into those highly coveted slots, so you can start getting more business. These days, your business' perception online can determine if your doors will stay open. Buyers pay attention to what people are saying about a business before buying their products or hiring their service. In fact, it's a key part of the buyer's decision-making process. With 73 percent of all consumers trusting online reviews as much as personal recommendations, it's clear that it's a potent weapon in any local business' marketing arsenal. Smart businesses are now actively asking their customers to leave positive reviews about their business on their Google listings. Many prospects only need to read 2-10 positive reviews to convince them that you're the real deal. An SEO expert's job is to set up campaigns and encourage satisfied customers to leave positive online reviews about your business and service. They'll also help with damage control in the event of a negative review. They do this by opening up channels of communication that will result in a speedy resolution that paints you in good light. 72 percent of potential customers tend to pay a visit to local businesses within five miles of their location. Most only do this is after doing a search and finding your business. To expose your brand to more people in Oxnard, you need to be visible first. Reputable SEO companies in Oxnard can help you improve your website's visibility, by setting up a campaign. They can also expose your brand to intending prospects using retargeting pixels. This way, your ad automatically follows them across multiple website pages, forcing them to pay attention and notice your brand. It's not enough to just have your website in the top spots. They have to be fully detailed. Prospects should be able to enter your business address or longitude and latitude into a map and get directions instantly. 50 percent of searchers typically visit a business within a day of Googling them. This means top-ranking businesses who include their name, phone numbers, address, and directions will get these prospects. This is why businesses with these details get higher rankings on the search engines than those without. Smart business owners are taking advantage of these features and making a killing in the process. You should too. How do you convince people that you're the best option for them? You need to set it up so that it looks like you're the only viable option. A strong SEO campaign does a great job of making your competitor irrelevant to the customer. A major part of successful SEO campaigns includes optimizing the website so it's both user-friendly and compels them to take action. Your website has to be fast, must have a decent layout to aid navigation, must be compatible with all devices, provide proof that it's either you or no one else, and convinces visitors to get in touch. Small and medium-sized businesses don't usually have the budgets that big businesses do. But that doesn't mean you can't compete with the big dogs. Small business SEO services can give the little guy a fighting chance. Listen, it's very possible to get those highly coveted positions on the search engines without having deep pockets. But you'll need a pro to help you do that. While a solid SEO campaign might not be cheap, it's also not so expensive that many SMEs can't afford them. You really don't have to spend a lot of money to achieve great visibility results on the search engines. 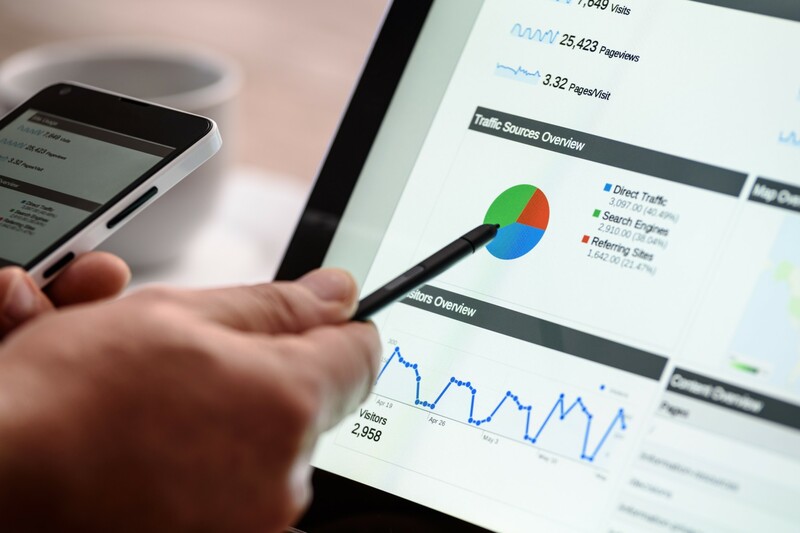 In fact, if you work with the best SEO company in Oxnard, you may soon find your website pushing the big businesses with deep pockets down the rankings, while you take their position. With the correct foundation, their efforts to retake those positions will further push you up the rankings. Before you ask, yes, it's completely possible to bulletproof your rankings when you work with SEO experts. Big companies like Target spend billions of dollars every year on customer insight and behavior. You don't need that kind of budget to do the same though. Search marketing professionals can help set up your site so that you can track their movements on your website, identify their geographical locations as well as their spending habits. The more information you can extract from them -with their consent of course-, the better. Using that information, you can then create customized offers for them. Repeat customers are often more profitable than new ones because they're 60-70 percent more likely to buy again. Are There Other SEO Benefits? Of course, there are. But, these should get you started. If you'd like to know how much more SEO can help your business, just get in touch with us and we'll show you how. If you'd like to know more about SEO benefits, check out our blog posts.